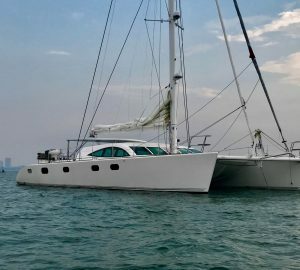 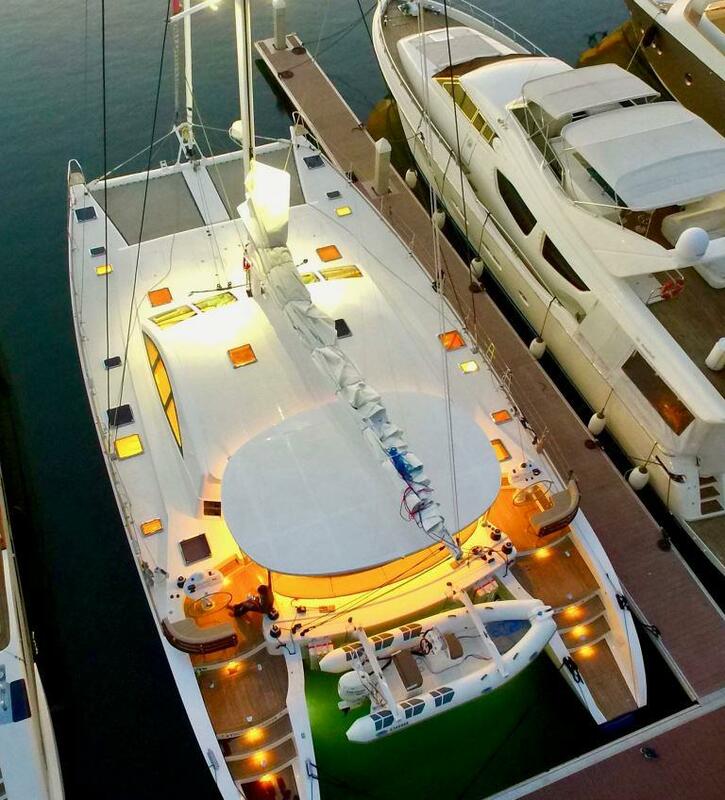 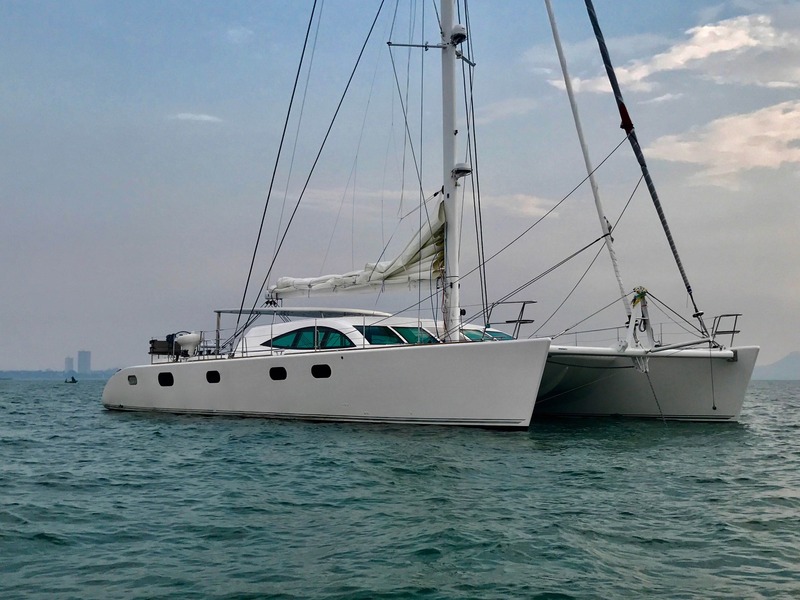 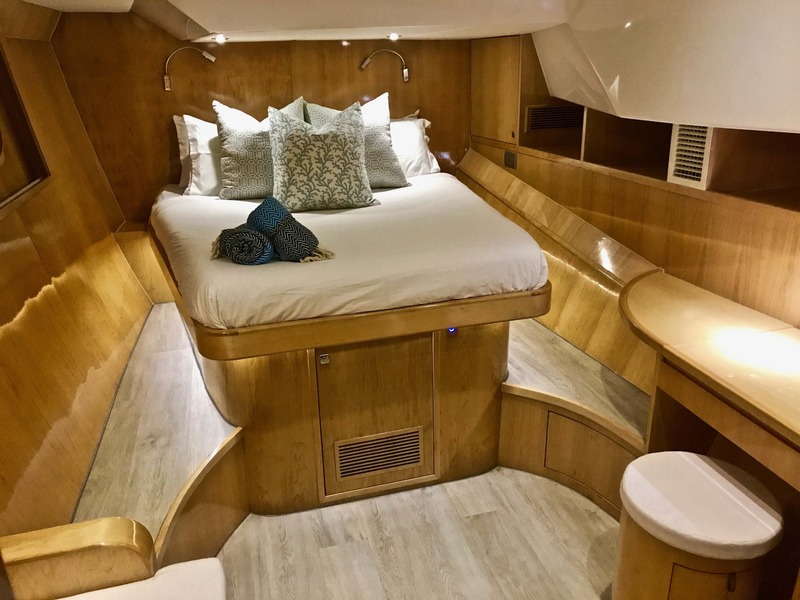 Launched in 2017 by Thailand based Serenity Shipyard, S/Y LAYSAN measures 21.95m (72ft) and accommodates up to 10 charter guests, over 5 cabins. 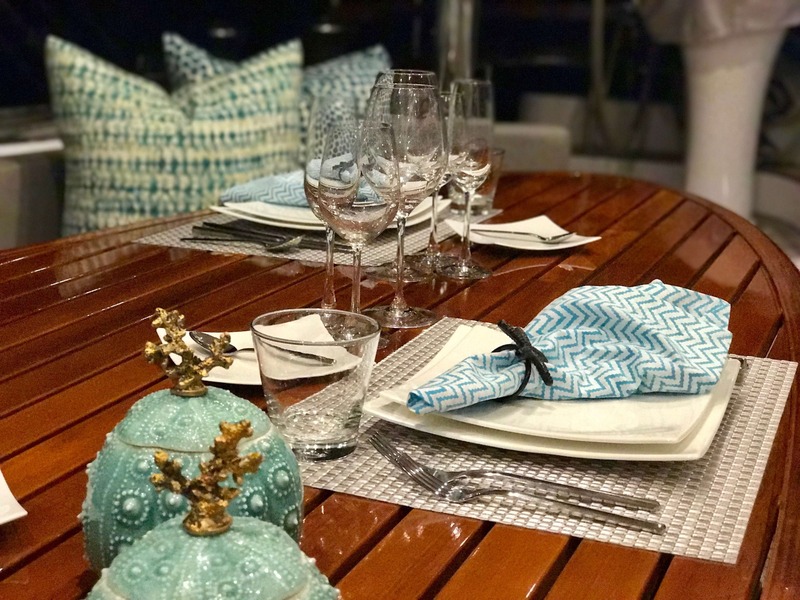 She has a professional crew of 3 to cater to guests every need. 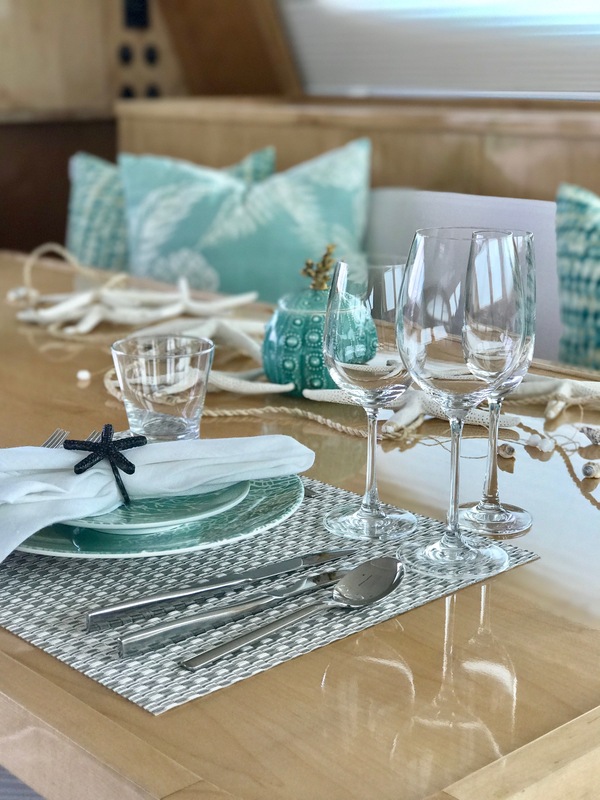 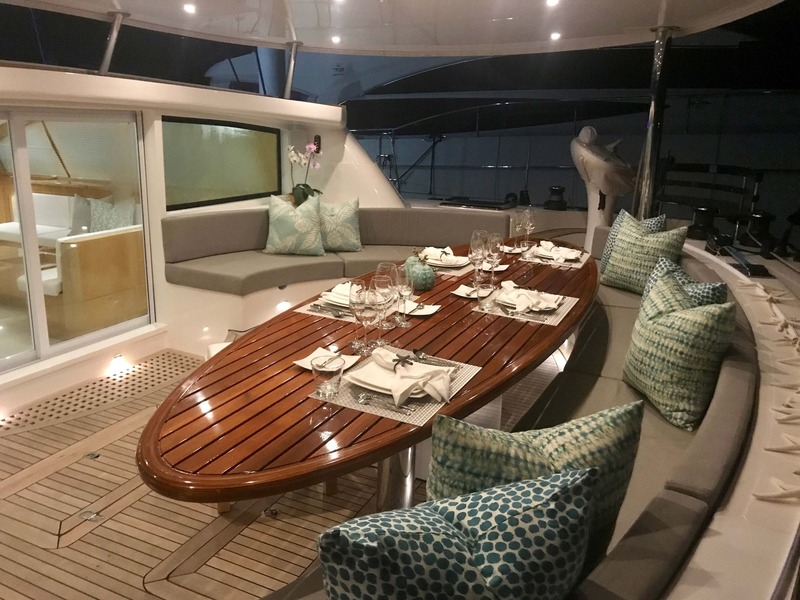 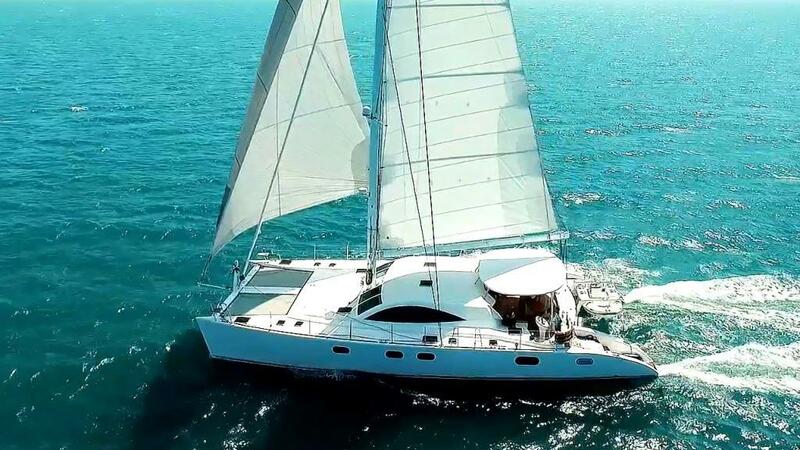 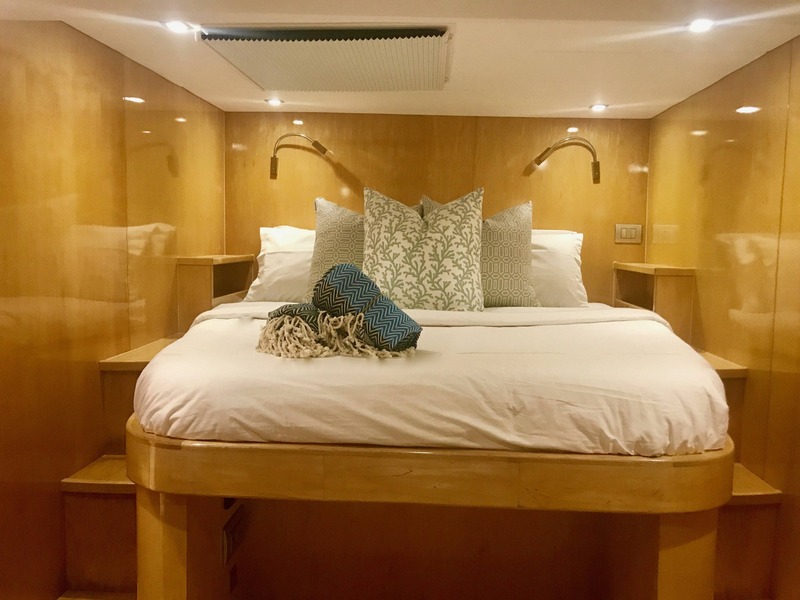 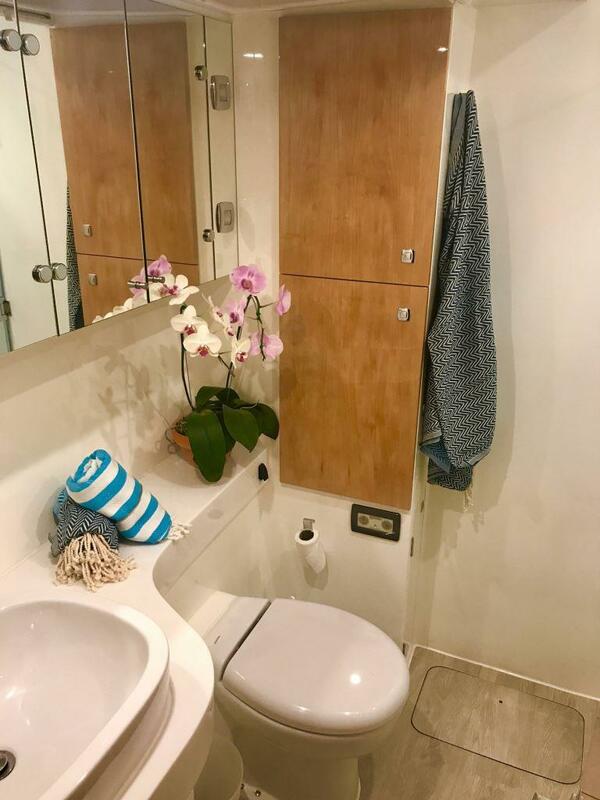 The decks are spacious thanks to the wide catamaran designed beam, there is a shaded aft deck with plenty of seating, an alfresco dining table and weather enclosures should it be required. 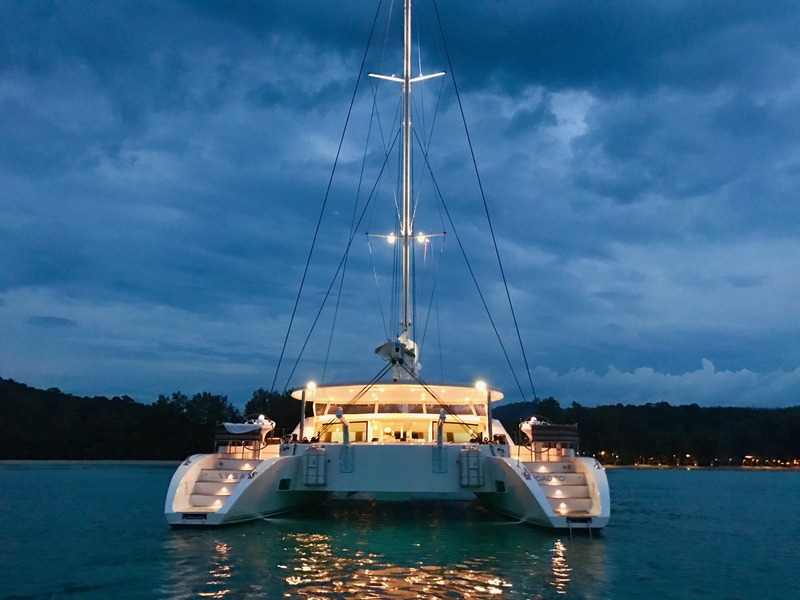 Further aft on port and starboard are steps leading to the sea, where a good assortment of water toys, including scuba diving, are available. 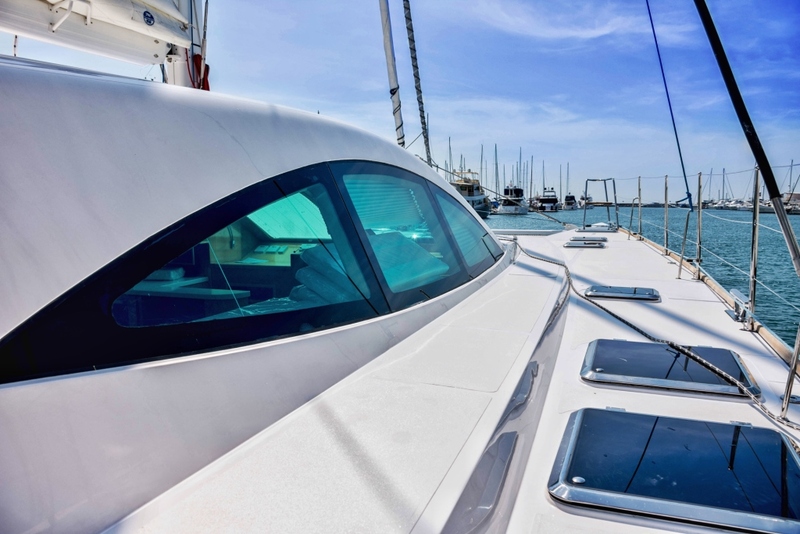 Walking forward, her foredeck offers sunpads and 2 large safety trampolines, perfect for relaxing and soaking up the sunshine. 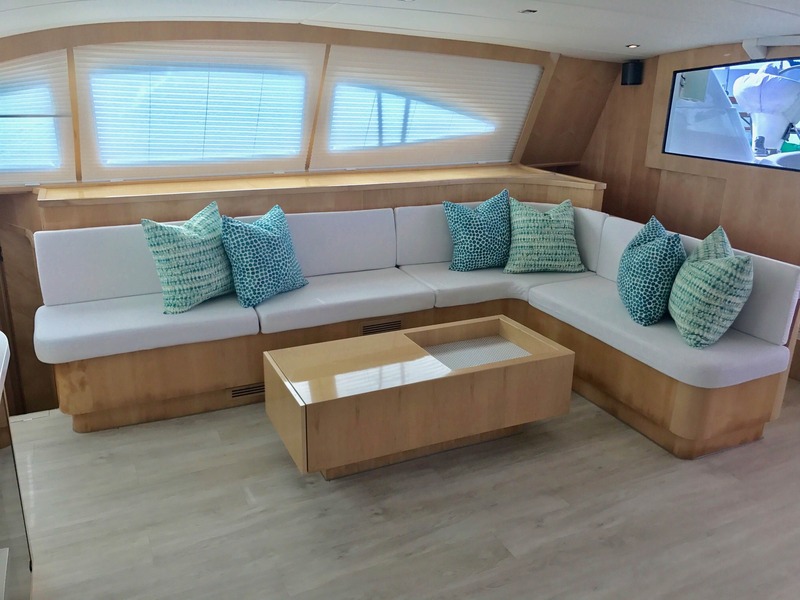 Her interior décor is warm and welcoming featuring pale wood flooring, honey-toned panels and timeless soft furnishings. 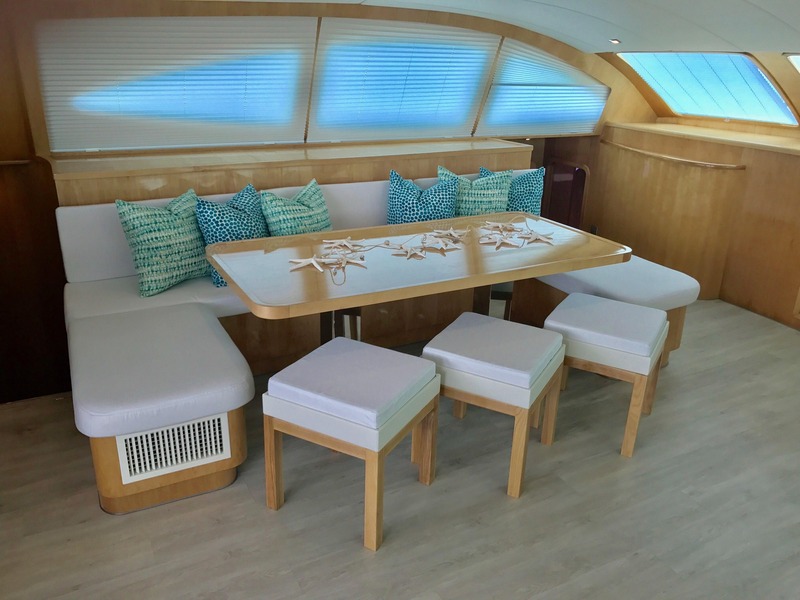 The open plan salon and dining is contemporary, with the formal table to port and lounge on starboard, while forward and perfectly placed for optimal use, is a full entertainment station. 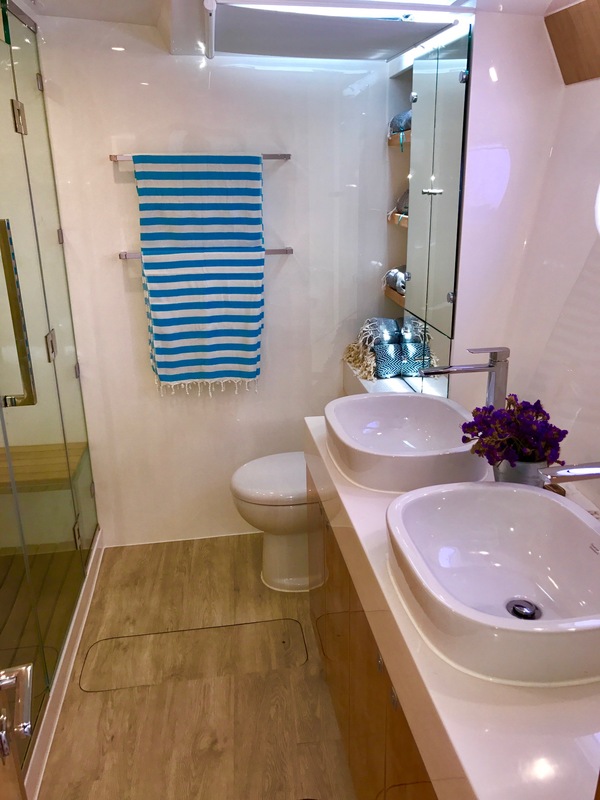 Accommodation comprises 2 double cabins aft, 2 double cabins forward and one bunk cabin located amidships on the starboard side.